Getting kids to talk can be tricky sometimes. In this edition of Freebie Friday I’m going to share an activity I learned from a wonderful friend/colleague/mentor, Dina McManus, LCSW-R, on getting kids to talk. 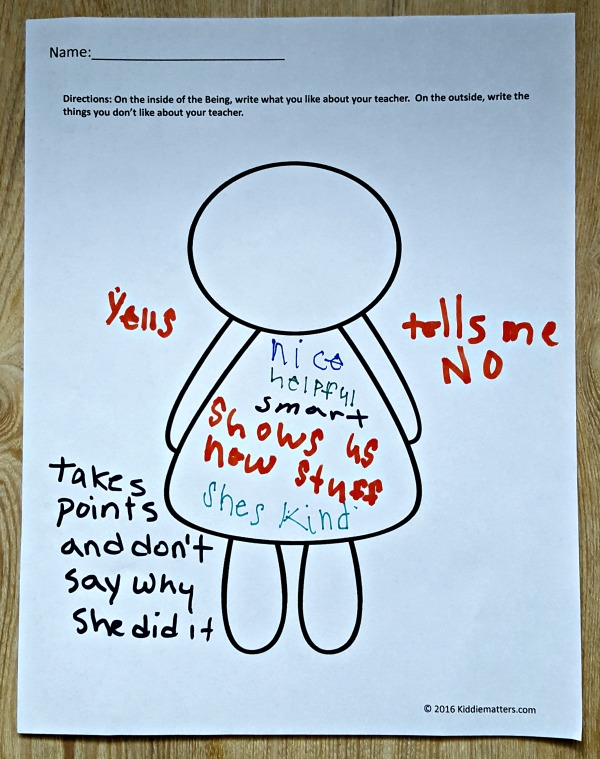 This activity also teaches kids how to express their thoughts appropriately and also that their opinions matter. This exercise can be used by parents, educators, and counselors. All it involves is a simple “Being” that can be used in many different ways. 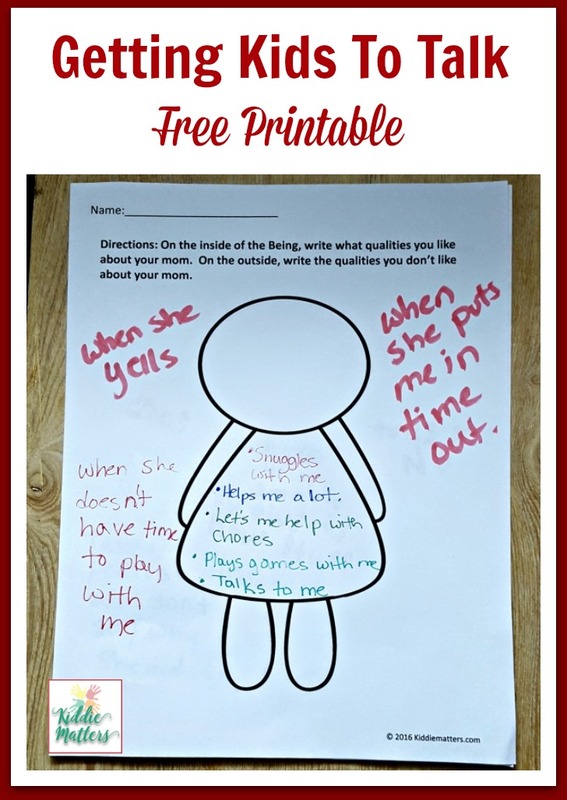 Don’t forget to download your Free Being Activity Printable! Once your child finishes their parent Being, discuss it with them. For instance, I asked my daughter how it makes her feel when I yell at her and what she would like for me to do instead. You can also use this exercise with siblings to get them to talk about how they feel about each other. Here is an example of how the Being exercise can be used by teachers and counselors with their students. I’m always amazed at the amount of information children share when they do this activity! The Being activity can be used in individual or group sessions. 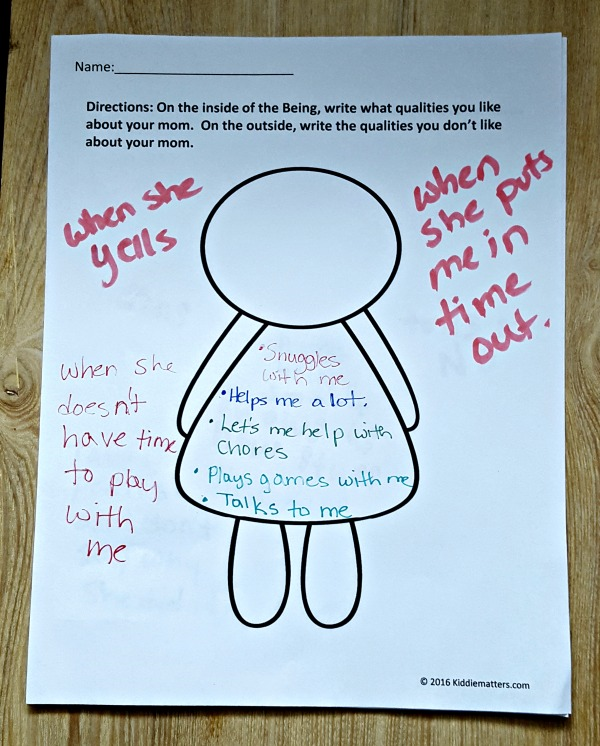 I typically use it during the first session of a group to establish how we want group members to behave and also to talk about behaviors that won’t be tolerated in the group. Below is an example of how I used a Being in a friendship group: I traced the outline of a group member (with permission of course). Then group members wrote/dictated what positive friendship qualities they wanted on the inside of their Being (Friendship Buddy). On the outside of the Being are things friends don’t do. I traced the outline of a group member (with permission of course). Then the other group members wrote on the inside of the Being (Friendship Buddy) the positive qualities they want in a friend. On the outside of the Being are things friends don’t do. Getting kids to talk isn’t easy, but when they do, be ready to listen!!! Don’t forget to follow me on Pinterest for more counseling and parenting resources! Visit Kiddie Matters’s profile on Pinterest. I love this activity! I’m going to try this with my second graders. They have a tendency to argue a lot and not work well in groups. They say they are friends but they don’t treat each other that way. What a powerful activity! I can’t wait to use this with some of my students. Thanks for sharing! Would this be a good tool for sibling rivalry? This absolutely can be used to explore sibling rivalry.